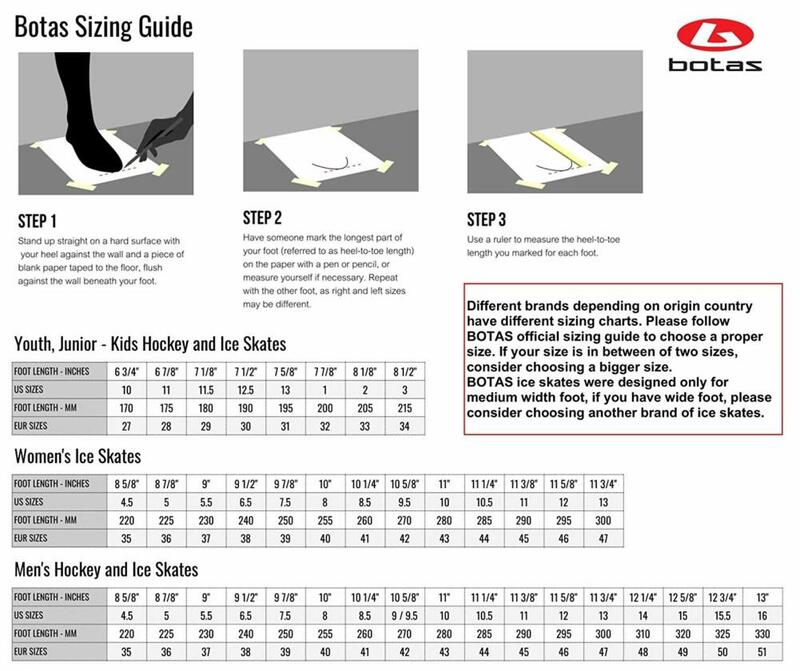 Regardless of whether or not you are a more experienced skater or someone just starting off in this amazing sport makes absolutely no difference – the CEZAR skates from Botas are going to be able to provide you literally EVERYTHING you need to really lock down your fundamentals and achieve the kind of mastery out on the ice you are striving for. Engineered specifically for competition, but also one of the most impressive and resilient practice style set of skates you can get your hands on today, the CEZAR skates from Botas are incredibly comfortable, flexible without being too loose, and offer plenty of protection from the ice and the cold. Beautifully designed using high quality synthetic material that looks a lot like a leather finish (with leather on the upper to make this effect really seamless), these are the kinds of skates that will capture the attention of the judges immediately and provide you with the clean look and style that you need to score extra bonus points after you nail every move of your routine. An anatomical tongue, a soft flex-insulation around your ankles, and the availability in a number of different full sizes and half sizes make this a great addition to your skate collection. At the end of the day, you’re really going to appreciate all that the CEZAR skates have to offer. Impeccably made by people that understand what figure skaters need the most from their footwear, you’re going to be bowled over by how much these skates can improve your routine (with no other changes whatsoever). Price: $164.95 – $179.95 & FREE Shipping. The innovated model of the black CEZAR figure skates in a new design for beginner competitors and active figure skaters. The reinforced upper made of strong layered leather with a special water-resistant PUR surface finish and RELAST textile laminated lining provides comfort inside the boot. The boot also includes ankle padding, an anatomical tongue and a soft and flexible collar around the calves. LTT technology increases the support and precise control. A black PVC outsole with the BOTAS logo on the heel made of rigid and resistant plastic. New PRINCESS skates with a very good surface mirror finish with the European TÜV GS certificate.